Motivate and reward in style with these gold foil stamped certificates. iClick 'n Print online design center features a large collection of templates for fast, easy customization. 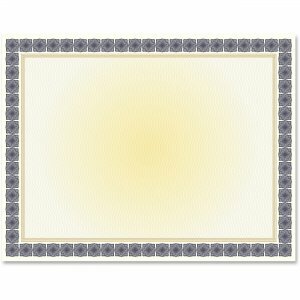 Letter-size certificates are perfect for recognizing special achievements, awards, diplomas, promotions, announcements and more. Certificates are compatible with inkjet printers for professional-quality results.